The BlackBerry Priv is one of the devices that the Canadian company is expected to update to Android 7.0 Nougat in the coming days. The phone was released in 2015 as the first BlackBerry phone that runs on Android OS. Since then, we have seen the BlackBerry DTEK50 and DTEK60 come to life – both with Android Marshmallow out of the box – and just recently, a BlackBerry Mercury powered by Android 7.0 Nougat out of the box was launched. While the BlackBerry Priv should be behind the DTEK family when it comes to receiving Nougat updates, it seems T-Mobile is warming up for the update with a January Android Security Patch for the phone. The patch comes with several fixes to known issues, with the major one being privilege escalation in some apps, but there is nothing to do with tweaks or even new features. Given the light nature of this update, it shouldn’t take a long time before it hits your BlackBerry Priv. In fact, all T-Mobile users of this phone should have received the OTA notification already. This same update that T-Mobile is rolling out now has been available for those using the unlocked BlackBerry Priv for some time now. AT&T has also made the update available to its variants, meaning it is just Verizon Wireless that still remains – which is not strange (Verizon has a poor track record when it comes to rolling out software updates). However, it shouldn’t be long before the Big Red rolls out this same update to the Priv as well. As noted earlier, many BlackBerry Priv owners out there are probably waiting for the release of Android 7.0 Nougat OTA. 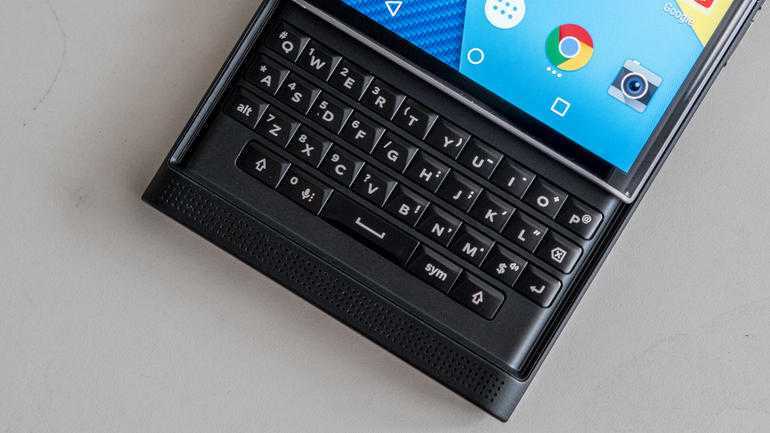 Even though BB has not said a word regarding when this update can be expected, the fact that it already has a phone based on this new OS out of the box means that the Canadian company has already gotten its hands on the OS. In short, it shouldn’t be long before we start seeing BB giving its handsets, including the Priv, this Nougat treat via OTA updates.